Razer can be credited with starting the trend of gaming-centric smartphones in the industry with the release of the Razer Phone. Being a niche device, the device couldn’t have garnered the same success as mainstream smartphones, but it was relatively successful, prompting the company to come up with a follow-up device. Unfortunately for the fans, it doesn’t seem like the Razer Phone 2 will be a huge upgrade over its successors. 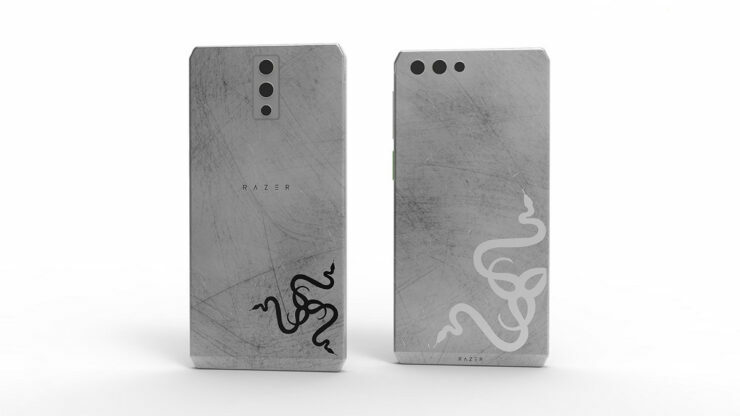 Perhaps as a silent protest, a designer has now whipped up his own version of the phone, which is being called the Razer Phone 2S. Designed by Hege has released the concept renders of the phone in two variants. Dubbed Razer Phone 2S, the variants are a far cry from the original Razer Phone as well as the upcoming Razer Phone 2. The phone is flaunted both in a YouTube video and a series of images. The envisioned phones have sharp edges and slim bezels too. Although the dual front-facing speakers are there, the design is different. Similarly, the layout of the three cameras on the back is also different. The Razer Phone 2S smartphones feature a metal body, and a large Razer logo can be spotted on the back of both the variants. The audio jack is also a part of the package, with one variant featuring it at the top and other at the bottom. Both the variants also have a dual selfie camera. The phones sport a 6-inch Super AMOLED display and pack in a huge 4,500mAh battery. Unfortunately, the upcoming Razer Phone 2 will be very different when it is launched later this week, featuring noticeable bezels and front-facing stereo speakers. However, since it’s a gaming smartphone, you can’t really complain about bigger bezels. The device is expected to be powered by the Snapdragon 845 SoC and have 8GB of RAM. A liquid cooling system is also going to be a part of the package to prevent overheating during gaming sessions. If you want to check out the concept video of the Razer Phone 2S, the clip has been posted below. Also, let us know down in the comments on what you think.